Apiary - curation market for DAOs based on Aragon platform. Responsible Crowdfunding through the Curation Market. Contractland - token bridge technology for value transfers between different blockchain networks. Blockchain solutions for Senior Architects - book for easy decision making in designing blockchain driven systems. Currently, Kiril is working on the open source projects sponsored by Aragon foundation for improvising the Ethereum ecosystem, that will be presented on 25th Jan at Aracon in Berlin. Summary: 12+ years dev experience, managing team (up to 30 specialists), released more than 100 projects. Worked on software for Chrysler & Ferrari. Teaching courses on Blockchain. 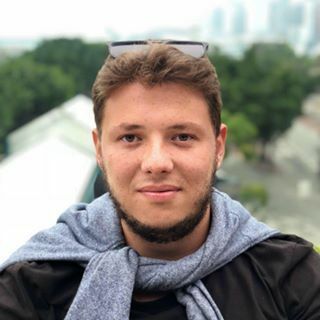 He provides the consulting services for the enterprise clients at 4ire Labs in fintech, legaltech, supply chain and architecture solutions designed by Kiril for the most complex blockchain driven systems have been already used in telecommunication, legal, insurtech. Kirill was born in IT family, son of web-designer and system admin. Being close and curious about the tech stuff from the early childhood. It looks like he never had the second idea about what to do in life. He was doing free-lance contracting in school years, getting Computer Science Degree and getting lead tech positions in several companies then. He had worked on the social game with over 1 million active users daily, then developed the board computer for Ferrari and Chrysler in Luxsoft. After being more than 12 years in the industry and knowing wide stack of technologies and languages, Kirill decided to contribute and started teaching software development courses. Best students now got the internship in the company and stayed to work further. Basically I want to create great apps, ones I would use myself. Now I also got a lot of young engineers who I am responsible for and I would like them to become really successful. Kirill likes traveling, cooking, hosting friend parties and is a big fan of owls (even got one for himself).